Shirojo is member of Oniwanbanshu onimitsu ninja group. 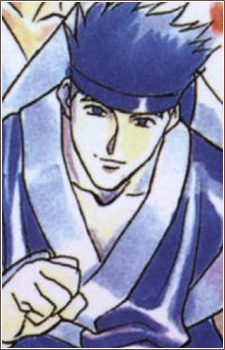 In the everyday peace of daily life, he helps run the the Aoi-Ya as a professional chef of Japanese cuisine, assists Okina, and serves as Misao's caretaker. In combat, he is seen to wield brace like gauntlets that he can fire to be used as shuriken.